Computers, Capitalism & The Crisis of Civilization: What’s at stake in China v. Apple? The fight between the Chinese government and Apple is about far more than copyright laws and regulations within international business. The current tension between one of the most powerful governments in the world and one of the world’s most powerful corporations points to key lessons about what both drives and restrains the advances of human society. 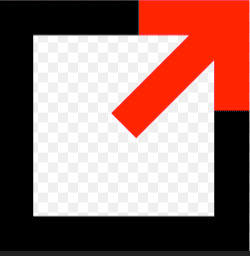 Once, in a conversation I had while traveling overseas, someone told me an interesting theory about the origins of the logo of the Apple computer corporation. The person believed it was biblical symbolism. To him, the silhouette of an apple with a bite taken out of it represented fruit from the tree of knowledge, plucked and eaten by Adam in the Garden of Eden. I have no way of knowing what the Apple corporation had in mind when it designed its logo many years ago. However, the theory is interesting because the Apple corporation in many ways incarnates the essence of the “fall of man” described throughout centuries of Christian theology. According to the biblical story, in the Garden of Eden, the first two humans, Adam and Eve were forbidden from eating from the tree of knowledge. God did not want human beings to become enlightened, because he knew of their moral weakness. If humans became capable of thinking and reasoning, there was no guarantee that they would use this ability in a moral way. If one holds an iPhone or an iPad in their hands, one can certainly see the vast achievements of human civilization. Over the course of the last six thousand years, human reason has empowered us as a species. We are now capable of transforming rocks, dirt and other natural resources into a compact device, which can project pictures and video across the planet. Each and every Apple product is the result of collective efforts. Tens of thousands of people, hardware and software engineers, miners and smelters, factory workers, and retail employees all come together and coordinate their actions in such a way that this amazing piece of communication technology can be in the palm of your hand, allowing you to update your Facebook status, check your e-mail, text, and call up your friends. Human beings are capable of all the complex cooperation and discipline necessary to produce millions of iPhones and iPads, and send them across the planet. Yet, with all of this brilliance, innovation, creativity, and ability to work together, we still allow 30,000 of our species to die every single day due to malnutrition-related illnesses. We still slaughter each other in wars. We live in a world where every day women are sexually assaulted, and people are driven from their homes to become unwanted refugees. Despite all of our great advances in terms of civilization, the worst problems we face are not being solved. In the 21st century of the Common Era, these problems are intensifying. For many people, life is becoming less secure and less safe than ever before. The contradiction articulated at the Garden of Eden is very well apparent when one looks at an iPad, iPhone, or laptop computer. These items tell the story of human beings who have bitten into the fruit of knowledge, and gained the ability to reason and think, while lacking the morality and collective self-control needed in order to fully utilize it. This logo is very appropriate in a society that has accomplished amazing feats in terms production, scientific research, discovery, and technological achievement, yet focuses these efforts almost exclusively toward making corporate profits. Math genius Alan Turing in college. 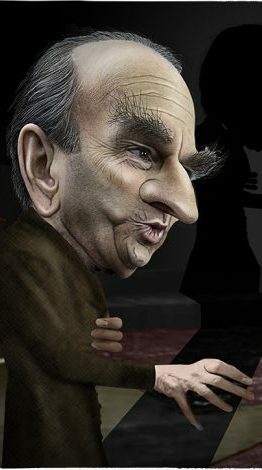 Always brilliant and “eccentric” he was hounded by the custodians of conventional morality. Turing became a momentary hero for his contributions to breaking the code of the Germans’ Enigma machine. The way the history of computers is popularly told, we get the impression that computers are the product of brilliant men like Bill Gates and Steve Jobs, who tinkered in their garages, invented something new, lived as billionaires, and were rewarded for their creativity. Such narratives about the lives of software millionaires are often held up as a defense of capitalism. It is argued that their individual initiative, motivated by greed and unhindered by the government, is the cause of the computer revolution which has forever changed humanity. The drawn-out series of technological advances that culminated in what is now called the “computer revolution” is a great example of the pure stupidity of free-market concepts like “intellectual property.” No one can own an idea. Ideas don’t exist in isolated vacuums. Human intelligence has always been collective in nature. However, the innovations of Alan Turing, without which modern computing would not be possible, were not achieved in the private sector. Alan Turing never became a billionaire, and was clearly motivated by something other than greed. Turing’s work was carried out during the Second World War, a unique moment in the history of the United States and Britain. 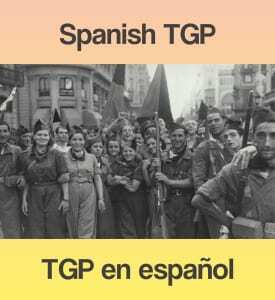 It is because of popular power and the mobilization of millions of working families into a “People’s Front” that the United States and Britain did not fall under the rule of fascism. At the Battle of Cable Street, the Flint Sit- Down Strike, and in many other instances, popular power pushed back the forces of greed and dictatorship. 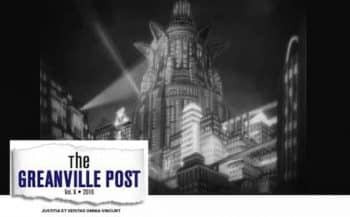 Henry Ford, the British Royal Family, the Morgans, and Charles Lindbergh would have preferred that things to have turned out differently, but the people’s coalition of labor unions, unemployment councils, and community organizations ultimately prevailed. Just as the Russians stood with Lincoln during the American Civil War, and the Russians embraced the American colonists in their fight for independence, the United States and the Soviet Union were friends and allies during the fight against Hitler. Britain was also an essential part of the global anti-fascist coalition. 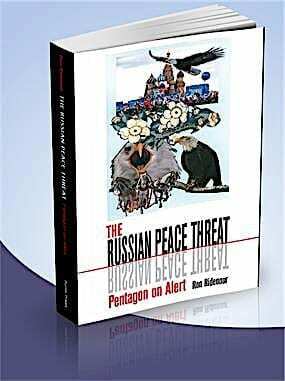 As the fighting raged across Europe and Asia, neither the United States nor Britain functioned as free market economies. Industry and corporations were tightly controlled by the government in order to coordinate production and ensure victory. 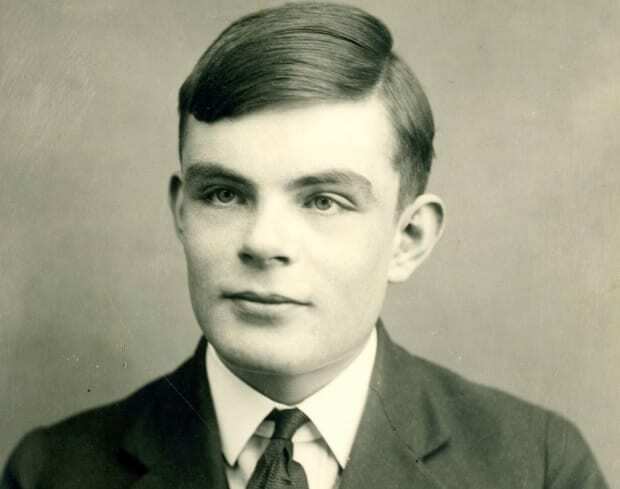 In the free-market society of post-Victorian Britain, Alan Turing had been an outcast. Turing was a socially awkward academic who lived in near poverty. It was only in the midst of nationally coordinated efforts to defeat the Nazis that leading figures in British society began scouring the universities, looking for someone capable of helping to de-code Nazi transmissions. Once Turing was discovered, he was immediately put to work. His unique ability and talents were seen as an asset. 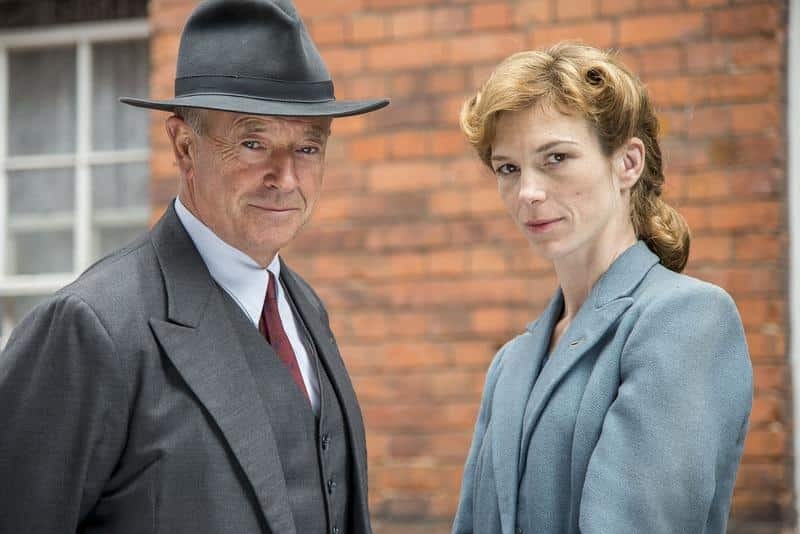 Foyle’s War, a British detective drama starring Michael Kitchen as Foyle, enjoyed enormous success due to its integrity in presenting the conditions of life in Britain during and immediately after the end of World War 2. The public’s nostalgia for such times issues from most people’s yearnings for meaning and community in their lives, which normal capitalist life negates and actively dissolves. (Photo: Kitchen as Foyle, with his able driver, Samantha Stewart (Honeysuckle Weeks). It wasn’t just Alan Turing. Almost everyone throughout Britain and the United States was assigned a task in the struggle against fascism. Even today, elderly Britons tend to positively reminisce about the war years, despite the tremendous hardships. They recall how it seemed like every man, woman, and child had a role to play in the struggle against the fascist menace that dropped bombs from the sky. While Alan Turing decoded Nazi transmissions, the Royal Air Force flew missions, soldiers carried guns, and civilians collected scrap metal and dug out bomb shelters. It was a national effort with no human potential left unspent. Working around the clock, Alan Turing made gigantic leaps in the field of mathematics and engineering, developing his groundbreaking decoding machine. Once it was completed, Turing’s machine effectively cracked the German Naval Enigma, allowing a secret transmission to be translated and for millions of lives to be saved. After the war, when Britain returned to its normal cold, punitive, imperialist way of functioning, Turing’s life returned to its previous state of misery. His technological achievements and his role in the allied victory were classified state secrets, and barely anyone knew about them. Alan Turing died in 1954, when the battle for democracy was over and western society was descending into the Cold War. Turing took his own life in the same year that Julius and Ethel Rosenberg were sent to the electric chair, while left-wing political activists and Communist party members across the United States were locked in prison. While society at large was mostly unaware of Alan Turing’s work, there’s no question that the creators and owners of the Apple corporation knew of it. Those who think that Apple’s logo is a reference to Alan Turing’s method of suicide, suspect that this is some kind of twisted joke. The computers they invented and made astronomical amounts of wealth from selling could never have been built without Turing’s amazing leaps in scientific reasoning. Yet Alan Turing never received any royalties from Steve Jobs or Bill Gates. The only compensation Alan Turing ever received from British society was ostracization, isolation, and punishment, ultimately driving him to take his own life. Turing’s groundbreaking contributions during the war point to the fact that computers are not proof of the greatness of capitalism. This is shown as computers further developed from the 1960s through the 1980s. During the Cold War years, the Soviet Union pioneered computer technology at roughly the same rate as the western world. Soviet scientists were forced to make their breakthroughs without utilizing the achievements of the western world, due to international treaties that prevented sharing technological breakthroughs with the Eastern Bloc. There’s no question that even in the hostile circumstances the Soviet Union faced, an economy based on five-year plans and directed by a centralized party is very capable of making technological breakthroughs. Those who claim “Communism doesn’t work” because it makes innovation impossible, always seem to forget that the Soviet Union was the first country to reach outer space. The justly famous if not legendary Kalashnikov 47 (because it was first produced in 1947). Far more reliable and tougher than similar machines. The drawn-out series of technological advances that culminated in what is now called the “computer revolution” is a great example of the pure stupidity of free-market concepts like “intellectual property.” No one can own an idea. Ideas don’t exist in isolated vacuums. Human intelligence has always been collective in nature. The history of civilization involves millions of minds building on each other and collaborating, with all of society eventually reaping the benefits. So, who invented the computer? To answer this question with one name would be a dramatic and obvious falsehood. If the names of each individual who was essential in the technological leaps that brought us modern computer technology were to be listed, tens of thousands of people, if not millions, would have to be included. No single person “invented” the computer, just like no one in present civilization, except perhaps an obscure craftsman, can point to anything and say “I made that.” Nearly every commodity in the world at this time is the result of the collective effort of thousands of people, working together in the complex process of production. A rational society should be constantly looking for people with skills in order to unleash them. 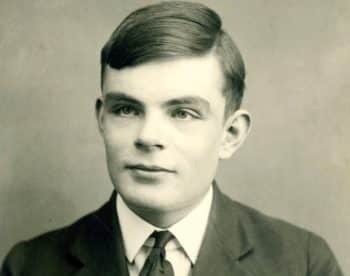 However, the British educational system deemed Turing to be quite useless, and he received very poor marks throughout his years of schooling. Turing’s childhood teachers actually referred to his “stupidity” in notes to his parents. It was only Turing’s personal passion for mathematics and physics that drove him to pursue these studies. Why did it take the Second World War, a disaster that killed tens of millions, for the talent of Alan Turing to be discovered by British society? Because during the Second World War, out of desperate necessity, the societies of Britain and the United States stopped functioning according to their normal economic laws. Capitalism was temporarily put on hold for the purpose of national defense. To put Engels’ words into more common language: nothing gets done in a capitalist economy, unless profits can be made from it. Under capitalism, houses are not constructed because human beings need shelter. Rather, houses are constructed so that landlords and bankers can make profits. People don’t get paid wages to do work because it is useful for society, but rather, because a capitalist can somehow make a profit from their labor. At this moment across the United States thousands, if not millions, of young people, full of potential, with degrees in physics, mathematics, history, or computer science, are sweeping floors at Wal-Mart or McDonald’s. Instead of solving the crisis of global climate change, or working to eradicate starvation and cure diseases, they are struggling to pay back their student debts. Many more are unemployed, making no money, and spending their early adulthoods living as miserable dependents, locked out of the dignity that comes with economic independence. There is no shortage of tasks they could be performing. If anything, the present turmoil of the United States cries out for a mobilization of young people to tackle society’s problems. Drug addiction is rising across the United States, and each day 78 people die from overdosing on heroin. (http://www.nytimes.com/2016/03/07/us/heroin-epidemic-increasingly-seeps-into-public-view.html) Suicide rates are the highest they have been in decades. (http://www.nytimes.com/2016/04/22/health/us-suicide-rate-surges-to-a-30-year-high.html) In the de-industrialized Midwest, formerly prosperous neighborhoods are dotted with foreclosed homes. The prison population is the highest in the world, in terms of both numbers and percentage. Water isn’t being properly purified. Bridges are not secure. Young Americans, who could be mobilized to solve these problems, have instead been cast aside, because Wall Street bankers can’t make money from hiring them. The irrationality of an economy organized to make profits, is causing a huge reservoir of human potential to be squandered. While the United States is in a state of societal decay, China is rising. In 1949 China was an agrarian third world country, where the overwhelming majority of people were illiterate. Today, China is the world’s second largest economy. 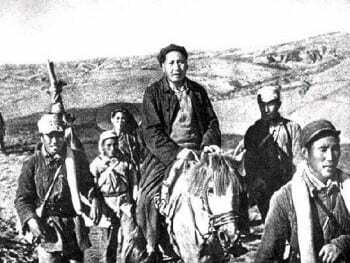 Mao during the Long March (Oct.1934-Oct 1935), an strategic retreat from Kuomintang forces, with elements of the First Red Army. Later this and other units would coalesce to form the People’s Liberation Army (PLA). Mao’s lucid revolutionary guidance, steadfastness through decades of immense challenges, and personal sacrifices planted the foundations of modern China. He is justly revered by countless Chinese as the pre-eminent architect of China’s rebirth as a great and independent nation. 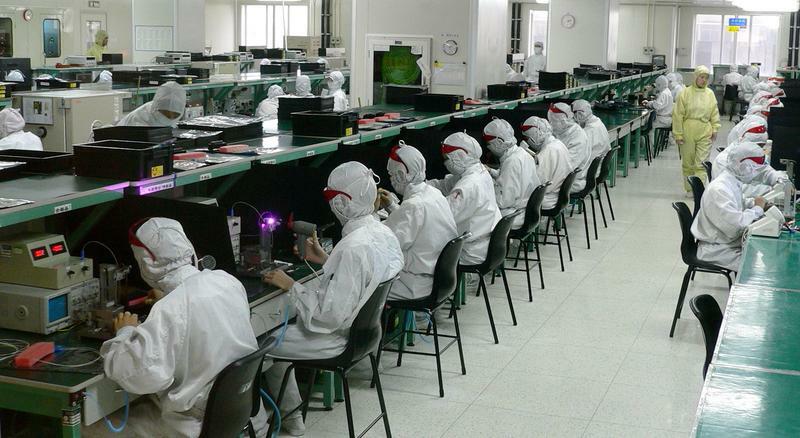 The Chinese mainland has been transformed into a high-tech fortress of production. 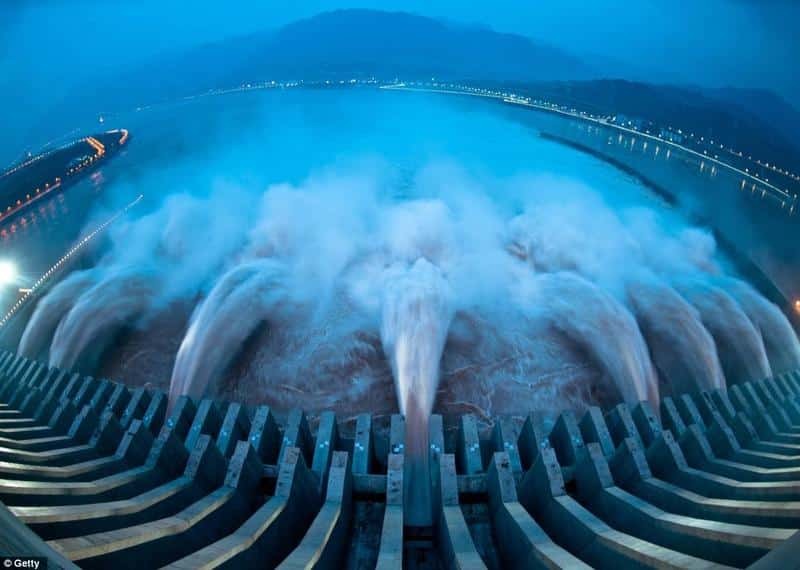 China is home to the famous “Three Gorges Dam,” (see below) which is the largest hydro-electrical facility in the world. More than half of the steel in the world is now produced in China. More than half of the cooper in the world is also produced in China. As China’s productive capacity rises, so does the people’s standard of living. The wages of Chinese industrial workers increased by 71% between 2008 and 2012. The Three Gorges Dam, on the Yangtze river, the largest water conservancy project ever undertaken by man, has been a dream for several generations of Chinese people. 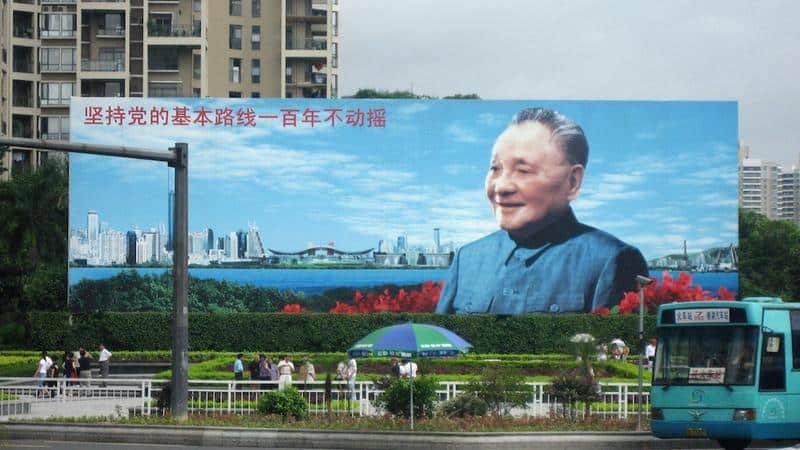 Billboard honoring Den Xia Ping, the controversial “moderniser” who chose the “capitalist road” to fast development, despite the inevitable risk of capitalist contamination. Because of China, the world tourism industry is having a boom. Chinese people whose parents and grandparents were born as peasants, living as the property of feudal landlords, are now going on vacation to Paris and London. CNN confirms that almost every week another Chinese person becomes a millionaire. On June 20th of this year, at the International Supercomputer Conference in Frankfurt, Germany, it was declared that China has now constructed the world’s fastest supercomputer system. Like Alan Turing’s decoder machine, this innovation was not developed by the private sector. It was developed by National Research Center of Parallel Computer Engineering & Technology. The machine was installed at the National Supercomputing Center in the Chinese City of Wuxi. China’s ability to pull together and advance as a country is often attributed to some crude racial stereotypes about Asians or a “lack of freedom.” Analysts in the United States will often characterize the differences between the United States and China as cultural, saying that Asian societies are inherently collectivist and authoritarian. The racist trope of “Asiatic Despotism,” often used in the past to demonize Asian societies, and justify wars against them, is very much alive today. Confronted with constant Western provocations and saber rattling, Russia is making an extraordinary effort to maintain its military might at comparable if not superior levels. China, too, is beginning to invest huge sums in the modernisation of its own military hardware, the only way to keep “the West” at bay and give multipolarity a chance. Western analysts tell us that China is advancing because Asians are heartless, natural-born totalitarians. However, there is plenty of authoritarianism and repression in the Asian countries of Bangladesh, Cambodia, Indonesia, Malaysia, and Thailand, but they have not experienced anything close to China’s economic achievements. The various central Asian countries like Afghanistan, Kazakhstan, and Georgia serve as a similar case study. The secret to China’s successes cannot be found in the outdated, debunked pseudo-science of Eugenics. The “Great Revival” of Chinese civilization did not begin with some genetic mutation, but with kicking out western capitalism and the triumph of the Communist Party in 1949. Sometimes, when analyzing China’s economic rise, western analysts will point to the influx of western investment which began in 1978. Those who think western investment is the secret to eliminating global poverty should look at the China that existed prior to 1949. Corporations from Britain and the United States did plenty of “investing” at that time. 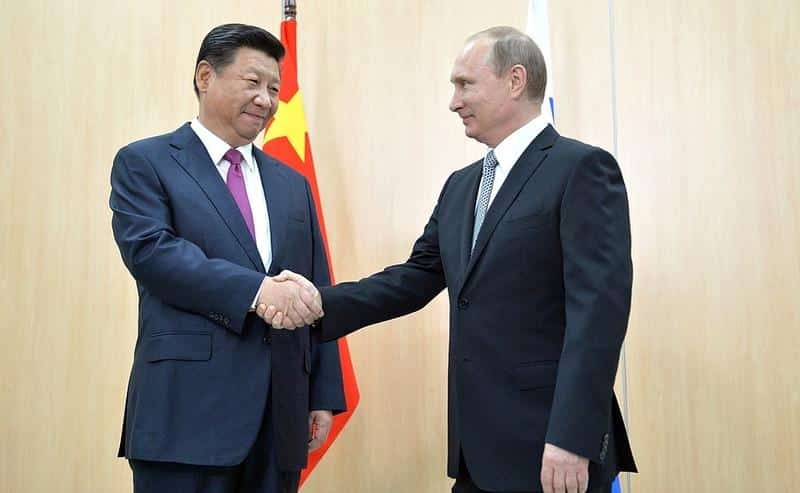 The strategic alliance of China and Russia is indispensable to defend their sovereignty and keep the fragile global peace in the face of constant provocations by the Western imperialists. A few decades after the Opium Wars, when Chinese Nationalists called “Boxers” confiscated opium pipes, lynched drug dealers, and boycotted foreign products, the United States deployed the Marines. The US military was sent to the Chinese mainland in order to maintain the ability of British and American corporations to “invest” and prevent the Chinese people from developing an independent economy. Prior to 1949, China had experienced over a century of “free trade” with western corporations. As a result it was the “sick man of Asia” who was burdened by starvation, drug addiction, forced prostitution, and almost no industrial production. China was kept impoverished with a primarily agrarian, primitive economy because of imperialism. So, what is imperialism? 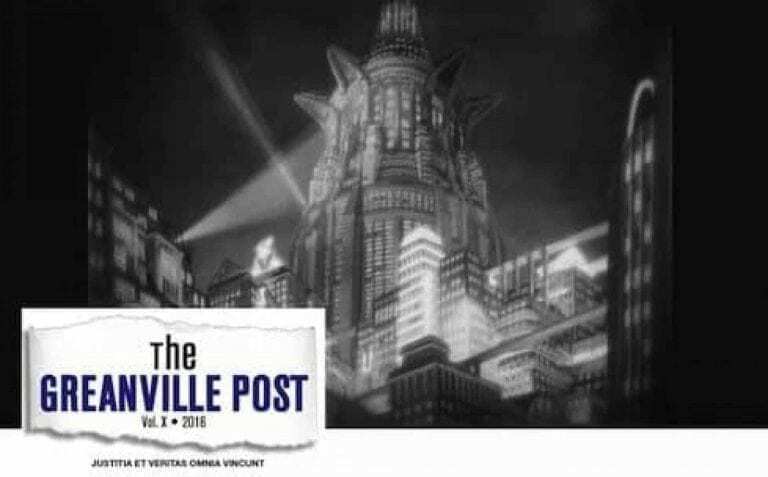 Across the United States, progressive activists are making huge efforts to tear down monuments to Confederates and slaveholders, but there has been very little outcry about the fact that Warner Brothers recently released a new film based on “The Jungle Book” written in 1894 by Rudyard Kipling. 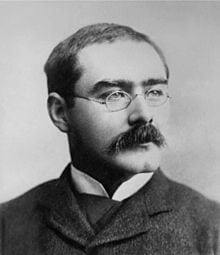 There is no individual whose name is more closely associated with racism and the demented psychology of the British Empire than Rudyard Kipling. 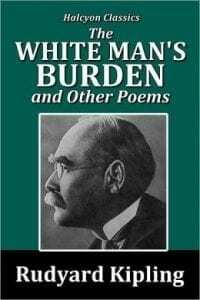 In addition to “The Jungle Book,” Kipling wrote a poem defending racism and colonialism, referring to the plundering of the world as “The White Man’s Burden.” His writings, most of which are intended for children, profess that it is the duty of white people to colonize the world, and to “civilize” the peoples of Africa, Asia, and Latin America. 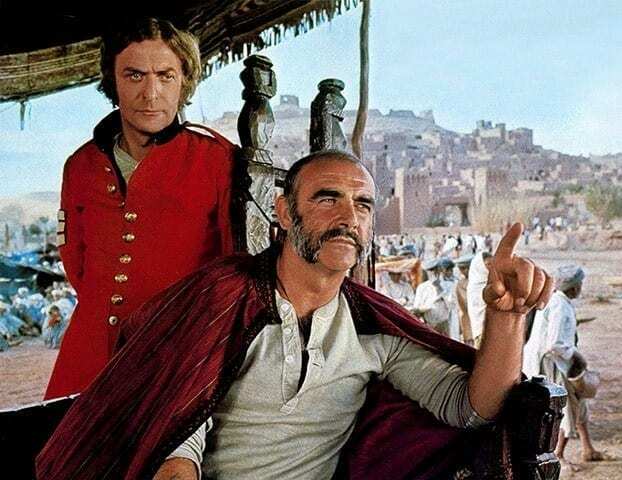 Kipling’s The Man Who Would be King, is an unapologetic glorification of imperialist impulses using the adventures of two “charming” British soldiers in India, who become rulers of Kafiristan, “a land where no white man has set foot since Alexander.” Sean Connery and Michael Caine starred, and John Huston directed. The film proved to be a huge blockbuster, confirming the sheer ignorance of Western publics and their deeply ingrained racist prejudices. In the mid-1800s, British people were being worked to death in mills and factories. The increasing mechanization of production created high levels of unemployment. The hardships of the industrial revolution unleashed a wave of strikes, protest, and uprisings. Revolts of British workers demanding better conditions threatened the very foundations of society. It was then discovered that this looming threat of a working-class uprising could be reduced by sending white European workers across the world to act as settlers and overseers. The starving and unemployed who languished in the urban industrial centers could be used to staff armies enforcing the global dominance of British corporations. Imperial Britain depended on cotton picked by African slaves in the southern United States in order to develop its textile industry. In order to maintain their monopoly, the British forcibly destroyed the textile industry of India. The occupied people of India then had no choice but to purchase imported cloth from Britain. Because their textile monopoly relied on cheap, slave-picked cotton, British bankers supported the Confederacy during the American Civil War. This method of controlling the world market with military force, while dividing the working class at home was pioneered by the British, with the United States, Germany, France, and other western powers catching up shortly afterward. This setup is called imperialism. 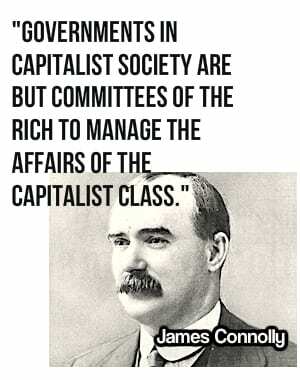 Imperialism is a system where western bankers are at the center of the world economy, raking in super profits by dominating markets across the planet, and enforcing their rule with violence. Kipling’s portrayals of India and Africa give the impression that these places were just jungles and deserts until the white Europeans showed up and started “civilizing” things. In reality, Africa had vibrant civilizations at Timbuktu and elsewhere. India has a long vibrant history of civilization that predates Rome and Greece. Who built the pyramids? Who first developed mathematics and geometry? The idea that western Europeans have always been “the most advanced” is a harmful myth. While Europeans were living in the Dark Ages, people inspired by the Prophet Mohammed, living in Arabian Peninsula, Palestine, Syria, Iran, and Iraq were centuries ahead, making amazing contributions to human development. 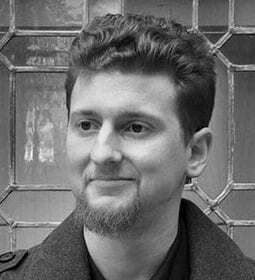 The terrorism of Al-Qaeda and ISIS, mass refugee crises and instability; these are not the natural products of Middle Eastern peoples, nor of the Islamic faith. Look at the situation in Iraq, Afghanistan, Libya, and Syria. Is western military intervention and the toppling of independent, nationalistic governments bringing civilization to these countries? Is it bringing even basic stability or peace? The whole world can see that this is not the case. Even when the interventions are justified in the name of a ‘War on Terror,’ the forces of terror and chaos only get stronger wherever western bankers and soldiers are deployed. Contrary to what Kipling and years of propaganda have constantly repeated, neither the East India Company, the Slave Ships, the settler armies back in the 1800s, nor the IMF, the World Bank or the Pentagon are actually developing the world today. These are forces of destruction, holding back humanity in order to maintain a monopoly for the bankers who own them. Imperialism is not about developing, or helping impoverished countries. 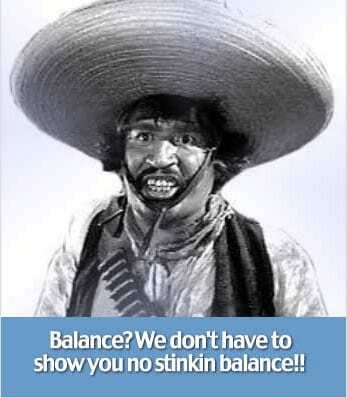 It’s about keeping them poor and dependent, at the barrel of a gun. There is indeed something inherently sick, destructive and immoral about western colonizers. British settlers were known to laugh as they slaughtered entire African villages with early machine guns. The British army committed a slew of atrocities in Asia, the Caribbean, and in many other regions where they were deployed. The looks on the faces of British settlers as they slaughtered innocent people were probably the same as the looks on the faces of American GIs when they slaughtered innocent civilians at Mia Lai or Haditha. The wave of mass shootings within the domestic United States, in which American citizens heartlessly gun each other down, cannot be separated from the legacy of imperialism or from the culture that it creates. 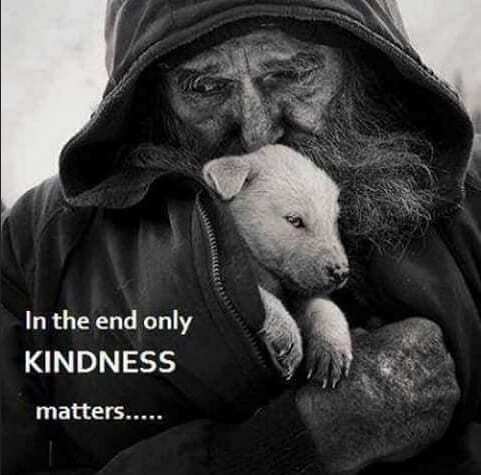 These extreme acts of cruelty are not actions human beings naturally engage in. A specific kind of molding is required to make humans capable of such cruelty and indifference to the suffering of others. In the works of Rudyard Kipling, among others, we can see how generations of westerners were mis-educated and trained with a mindset that allowed them carry the rifles of colonial armies, and the whips to beat colonial slaves. 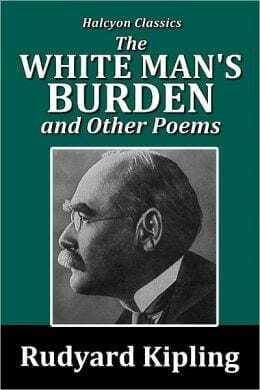 Kipling’s demented fairy tale seems to be almost an allegory for the aspirations of white settlers: endure horrific mistreatment and be exploited in your homeland before being unleashed on to the world. Go out into the world with the hope of returning somehow stronger and crueler than before. The only hope for a happy ending in this constructed mindset is that, once unleashed on the world, you will gain the ability to dish out an even fiercer version of the cruelty you previously endured. The dominance of Britain is merely history. British bankers have been usurped as the top exploiters and monopolists on the global stage. The billionaires of the United States now hold this title. The society they lead has one-upped Britain’s “serial killers” by unleashing the new phenomena of “mass shooters” who slaughter large numbers of often random people in a wave of bullets. The Chinese government doesn’t exactly have a cozy relationship with Wall Street corporations. 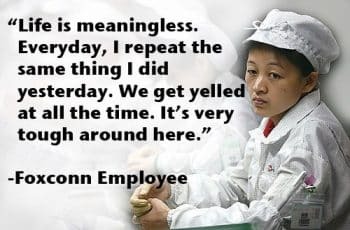 When OSI, a Chicago-based meat supplier was caught serving rotten meat to the public in Chinese McDonald’s, KFC, and Pizza Hut restaurants, the corporate executives were dragged away in handcuffs. (http://news.xinhuanet.com/english/2016-02/01/c_135065093.htm) China is the only country in the world that has executed billionaires. 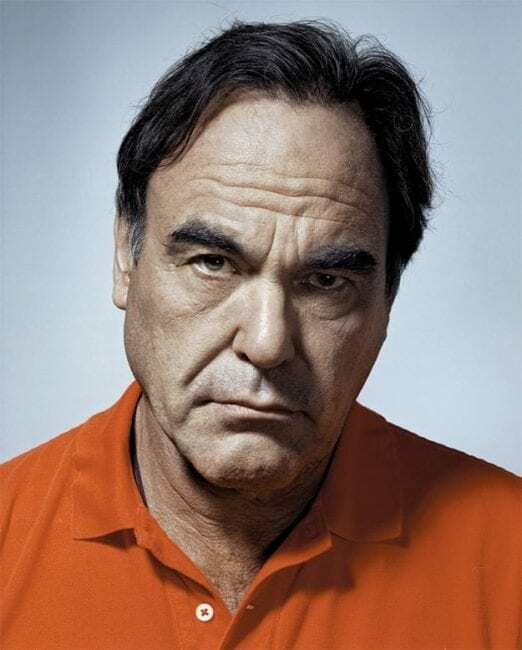 In fact, executions of extravagantly wealthy people on the Chinese mainland have taken place multiple times. Huawei is technically not a corporation, but a “collective” under Chinese law. A large number of the shares of Huawei are owned by the Communist Party aligned trade union, which represents the Huawei’s 170,000+ employees. Many of Huawei’s top executives have been leading figures within the Chinese military or the government itself. Though Huawei often insists that it is not “government controlled,” it clearly does not operate like an American corporation, following the flow of the market, seeking to maximize its own profits. 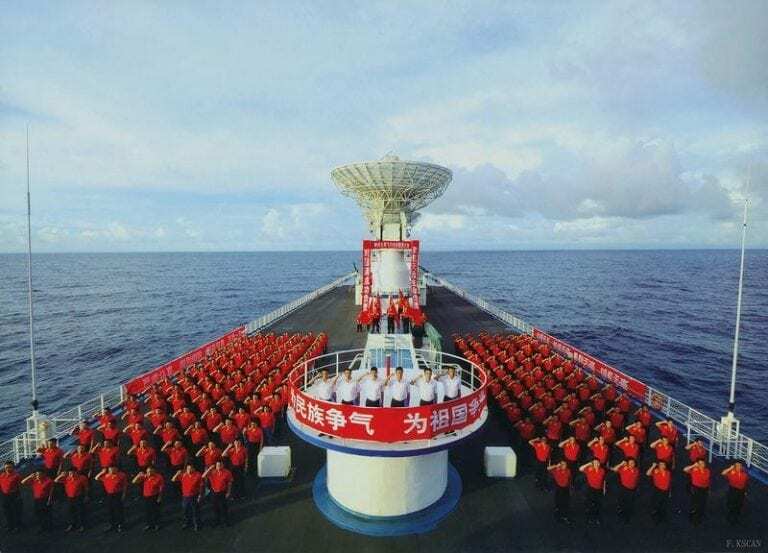 This Chinese multinational’s activities are closely coordinated with the Chinese government as part of a strategy for advancing the economy, fitting in neatly with the Five Year Plans. When speaking at the ceremonies commemorating the 95th anniversary of the Chinese Communist Party, Xi Jinping said “Prosperity for the people is the primary goal of the Communist Party of China, and it is this goal that distinguishes Marxist parties from other political forces.” For a party that began with less than 30 people in the basement of women’s college dormitory in 1921, the organization that now holds 87 million people among its ranks definitely has a record worth boasting about. China’s vast market sector is tightly controlled by the government and the party. This has allowed China to avoid the chaotic boom-bust cycle of capitalism, and to steadily advance from the “sick man of Asia” to the powerful global center it is today. In July of 2015, when the Chinese stock market dropped by 30% in a single day, almost nothing happened. Less than 2% of the Chinese public is invested in the Chinese stock market. A similar drop in the United States, where 55% of the population is invested in the stock market either directly or through retirement pensions, would have resulted in riots in the streets. 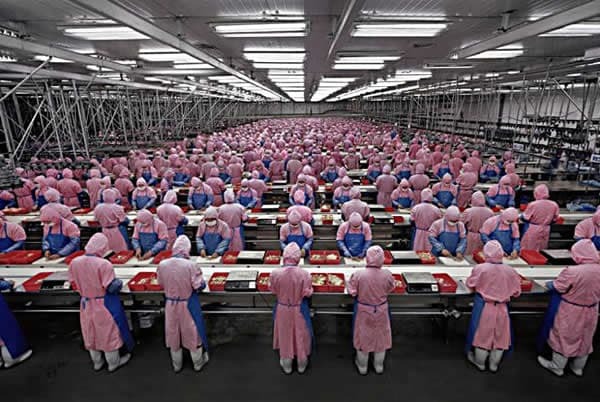 When it was revealed that some of Apple’s products were being manufactured in a sweatshop facility in Chungqing owned by the Taiwan-based corporation called Foxconn, the world was horrified by the conditions that existed at this facility on the Chinese mainland. 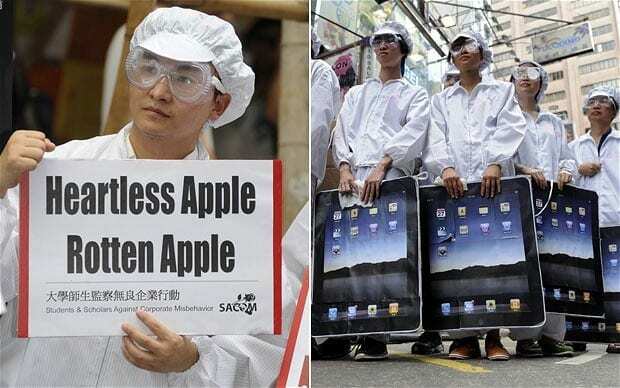 People across China and around the world denounced Apple and for the way they mistreated industrial workers. Apple, of course, like all transnationals that use labor contractors, is fully complicit in any abuses. Currently, the Chinese government is waging a massive crackdown on corruption. President Xi Jinping has articulated that many practices that go against the principles of “Socialism with Chinese Characteristics” have become entrenched and widespread since the late 1970s. In 1978, Deng Xiaoping’s reforms and openness moved China away from the extremist “poverty communism” of the Gang of Four, and from international isolation. Today, Xi Jinping’s “Mass Line Campaign” is reigning in and controlling sectors of Chinese society where market forces seem to be out of control. There is nothing inherently Chinese or Asian about these successes. In China, greed and profit is not allowed to run rampant, with the state having the final say on economic decision making. When it comes to setting government policy, the Communist party and its 87 million members are in charge, not corporate executives. Guided by the power of human reason, and not by the anarchy of production, China’s one billion people are pulling together and marching forward. What the United States and Britain were briefly forced to do in order to defeat fascism during the Second World War, China has been doing since 1949. The result has been one of the most dramatic advances of any society in history. How Should We Direct Human Intelligence? If one opens the newspapers of the United States, you will read about mass shootings, the rise of heroin addiction, and children being poisoned with lead in their drinking water. Our government allows this kind of news to be published, not out of a love for “freedom of the press,” but because most Americans don’t bother to read about it. The United States is a country where the state is not officially pushing any ideology, and the public is widely depoliticized. 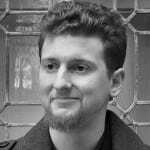 Foreigners often laugh about the fact that Americans boast that they are “free” and arrogantly proclaim that people in countries like Iran, Russia, Venezuela or Cuba the people are “brainwashed.” While Americans think they are “free,” a large percentage of them cannot even find their country on a world map. In the United States, “think for yourself” has become a euphemism for not thinking at all. 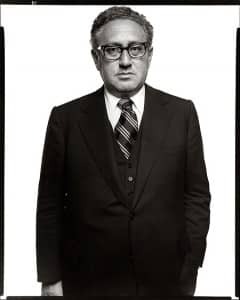 The leaders of the western capitalist world do not mobilize their populations. Americans and western Europeans are not part of any continuing revolution, national project, or collective vision. Americans feel little, if any, obligation toward the country, or even each other. Westerners are “free” to live their lives chasing after material comfort as their own society crumbles around them. As things get worse, with rising poverty and societal instability, many Americans are becoming interested in what is commonly called “conspiracy theories,” hoping to explain why everything in the country seems to be going wrong. The breakdown of US society is happening on a number of different levels. The educational system is very poorly rated. Intelligent people in US society are generally put to work figuring out derivatives on Wall Street, or designing the latest high tech weapons for the Pentagon. A number of corporations have discovered that a rise in poverty and crime isn’t so bad, because locking people in prisons can be a way of making money. 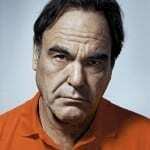 The existence of a “prison industrial complex” is widely decried. There isn’t much of a “labor aristocracy” anymore. International bankers have wrecked the midwestern and southern United States, in a similar manner to the way they have wrecked much of the planet. The once prosperous industrial heartland of the United States has become known as the “rust belt.” While shipping jobs overseas, presiding over an inefficient healthcare system, and watching the country growing poorer and less stable than ever, a small group of people in the United States have continued to make lots of money. The history of human civilization has been the story of our struggle to restrain our animalistic impulses and our drives toward selfishness and aggression. As we advance we have, more and more, allowed our rational minds to take the helm. Tremendous progress has been made. Human beings have gone from being a species of hunter gatherers and cave dwellers to being space travelers and computer manufacturers. In the fight between Apple and the Chinese government, we see a looming question about how human intelligence should be directed. Should it be used to fill up the bank accounts of corporate executives—a puny segment of humanity? Or should the brilliance that enabled humanity to create the iPhone be unleashed to save civilization? The human race will soon have no choice but to resolve this burning question.